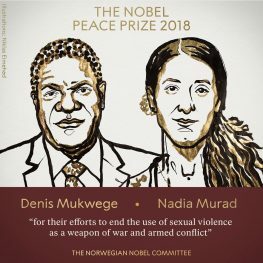 Nadia Murad, a 25-year-old Yezidi woman, has been awarded the Nobel Peace Prize for 2018, along with Congolese gynaecological surgeon Denis Mukwege. Minority Rights Group International (MRG) congratulates both very well-deserving recipients and in particular Murad for her tireless campaigning against sexual violence and on behalf of her community. 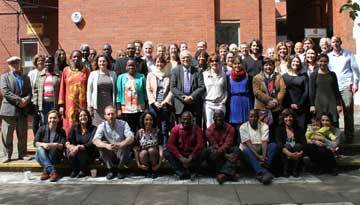 Read the report ‘Crossroads: The future of Iraq’s minorities after ISIS‘ on MRG’s Publications page. Iraq and Syria remain at fourth and first places respectively on MRG’s annual Peoples under Threat survey of countries at risk of genocide and mass killing. Read also about the Yezidi minority as well as Iraq and Syria on MRG’s online Directory.